We have been buying Diamonds since 2011. At VIP Pawn Shop we specialize in buying larger diamonds 1 carat & larger and we also will buy diamonds of all sizes and shapes. Round, Princess, Emerald, Pear, Oval, Radiant, Marquise, Cushion Cut, Asher as well as European & Mine cut & Single cut diamonds. Our trained G.I.A. experts take the time to analyze your diamond to insure that you get the maximum value and top dollar for your diamonds to make Chicago Gold Gallery the best place to sell diamonds. We will weigh, color grade and clarity grade your diamond. The colors of diamonds range from D all the way down to Z. Most jewelry grade diamonds average in the category between F to J color with charities that average between VS1 to SI2. We will analyze each diamond to determine it’s value. Besides having 7 years experience as G.I.A. diamond graders & Diamond Buyers we have modern state of the art specialized equipment & tools as well. The diamond color scale D – E – F are colorless G – H – I are near colorless J – K – L exhibit very faint color M – N start to show light color O – P and on down begin to reveal deeper color yellows and browns. The diamond clarity scale goes from Internally Flawless IF – Very Very Slightly Included VVS1 / VVS2 – Very Slightly Included VS1 / VS2 – Slightly Included SI1 / SI2 and lastly Included I1 / I2 / I3. 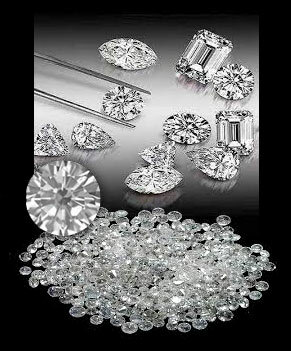 We will also determine your diamonds proportions & cut. Cut, Polish, Symmetry & proportions can range from Excellent – Very Good – Good – Fair & Poor. With our knowledge and experience you can feel confident that you will be selling to National best Diamond Buyer. Click Here To Get Start It!